Hawaii is on its way to allowing a dangerous threat to influence how laws are made. That threat is called ideology. Ideology has no basis in evidence or reason. 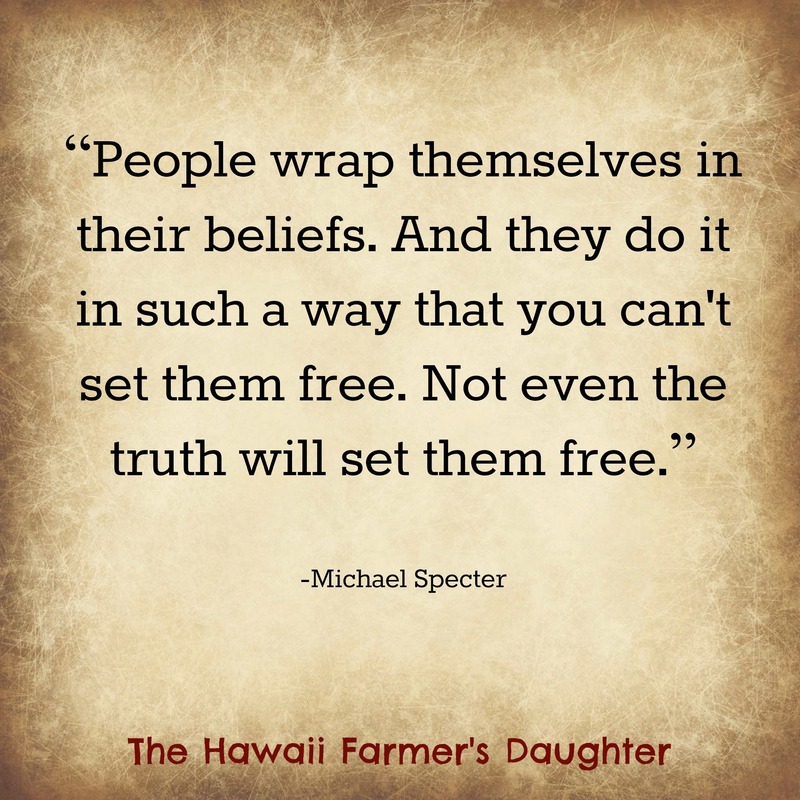 It is based in a core set of beliefs, just like religion. As a result of these shared beliefs, many people of different backgrounds are easily swept up into this movement. Some people will easily repeat the widely held beliefs without question, while others will question and not believe those statements. Applying ideology has been problematic in making laws as it required good reason and evidence to base the need for it. Examples where ideology was used to pass laws include slavery, no child left behind, internment of the Japanese, and discrimination of minorities throughout history. Behind each of these laws was a strong idea and belief that there was something wrong, however no real reason for the need to pass such laws. Herein lies the problem that the people have turned to the courts to overturn such laws. The law itself cannot be discriminatory in nature to begin with. People can discriminate but the courts have shown that discriminatory laws are illegal. When our Hawaii politicians start being influenced by ideology, it ultimately harms us all. It takes away resources and energies from the folks who have to defend themselves from these ideological assaults. Reputations are harmed and time is lost as a result. How does that make Hawaii move forward? It doesn’t! If you think back further, has ideology in politics ever moved us forward? In some ways it has when we all share the common beliefs set forward by out founding fathers that all men are created equal. We also share the belief that we have freedom to pursue our passions and ideas. Those common ideas is what makes the U.S. the leaders in the world of innovations. Our societies have greatly benefitted from free thinkers. From the development of the lightbulb to the plane, to cars, and to our IPhones, and even the Internet, it all came from members of our society who took on the challenge to innovate. What would have happened if we held onto the belief that everything old is good? We would never become home to any of these innovations that revolutionized our world society. Unfortunately, there is a well-funded, highly organized group of people trying to push this idea upon Hawaii politics, and it is disturbing to me. Knowing our roots helps us to move forward and grow as we know where we came from and where we need to go. We cannot forget that part of us. The basic human desire is to create, innovate, and do something. We all want to be a part of something. That is our nature. We are at a time where technology is rapidly advancing us at a pace in which we have never seen. A large population of people have not been able to keep pace with the literal explosion of information and as a result, have decided to stifle it. We no longer live in the days of the Salem Witch hunt, however, the patterns that we are see are eerily similar. We have people fearful beyond belief about what’s happening in this world and they are ready and willing to support for the loss of lives to satisfy their need to stop this. There is no sort of evidence for them to stand upon other than this new and strange thing is inherently bad. There are real casualties happening each time the well fed, healthy witch hunters declare a win as they forget their role in the global community. It’s selfish and harmful that we live in abundance while the rest of the world is left to suffer. In this election year, my wish is that people start really seeing if we want the “witch hunt” ideology based “leaders” in office. The voters sent a message to the blockers of innovation who were holding up a sword to direct and fuel mob mentality towards a technology. I don’t buy into your ideology of beliefs that are not based in facts or logic. I refuse to keep Hawaii out of touch with the world’s revolution, and I seek the cultivators of innovation to move our state forward, not backwards. I will always seek the latter as that’s the world I want my kids to have in their future. That’s my intent in speaking out against this ideology!